after a marble slab was thrown at him during an operation near Ramallah. Saturday morning at the Hadassah A Kerem Medical Center in Jerusalem, and was buried in the Military Cemetery on the Herzl. He was killed about two months ago by accidental release from an IDF base in central Israel. "They were good friends," said Ronens brother Arik. "My brother saw them removing Shachar on a stretcher after he was killed, and now it's two unit soldiers, such a terrible disaster." The Strug family said that Ronen had attended Scharchar's funeral two months ago. 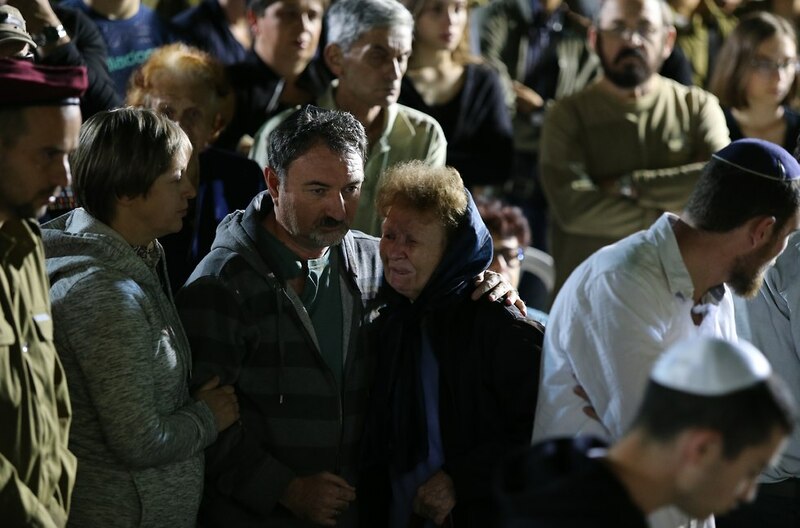 "It is very sad and very painful," said Shachar's father Kobi Strug. Commander Duvdevan, Lieutenant Colonel A, praised Lubarsky during the funeral. "The information has led the unit to conduct the mission, a mission that could undermine and disrupt the activities of the terrorist cell," he said. 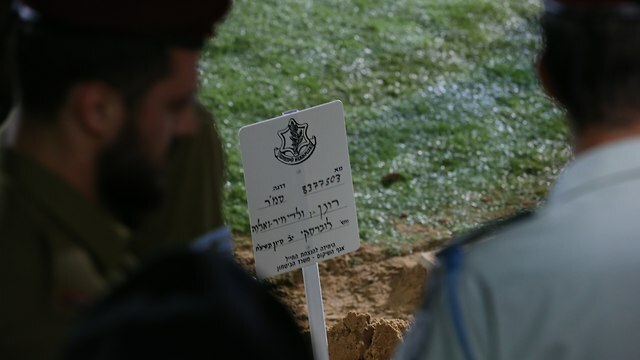 "One operation of many, an operation that you, Ronen, did not return to, they were raised to values ​​of contribution to the state, you were a member of a family of fighters, the salt of the earth, how we prayed of you in the hospital bed said your mother to the family members and said, "They are all fighters, but Ronen is the best." Mother was right, you were one of the best fighters in the company and in the unit. "You were part of the leadership of the team, one of the first to face the enemy, you participated in many operations to hunt down terrorists and you were on the front line of the IDF against the terror in Judea and Samaria Nevertheless, you have done everything modestly and professionally, you have fought for days against all adversities, from the serious injury in the refugee camp until this morning in the hospital. "You died the death of a hero during the operation to defend the inhabitants of Israel, and you close your eyes in an operation that more than anything symbolizes your contribution to the defense of the State of Israel." Rest in peace to you and your work, we hurt and we greet you. " Ronens brother Arik said: "Dear brother, tell me, how did we come to this strange situation, even though you were modest, and me I am now a much better person thanks to you, everyone is talking about you, everyone loves you, you are such a hero, a champion, you have always fought. "You say that free choice is the strongest human move, and you have chosen your whole life, you have gone through every closed door, wherever you heard no, you said yes, and you were better than everyone others, in football, in your studies, in Krav Maga, and finally in the IDF, and I'm sure you chose that moment as well, I have no doubt, and I'm happy with it, I know it's not you I have to suffer and I am very proud of you. "Unfortunately, IDF soldiers are struggling with the threats they experience every day and night, wild animals awaiting them on the rooftops, breathing with them, being in blood with them, Duvdevan and IDF soldiers I pray to God that our leaders, whom I love, will do something about it. 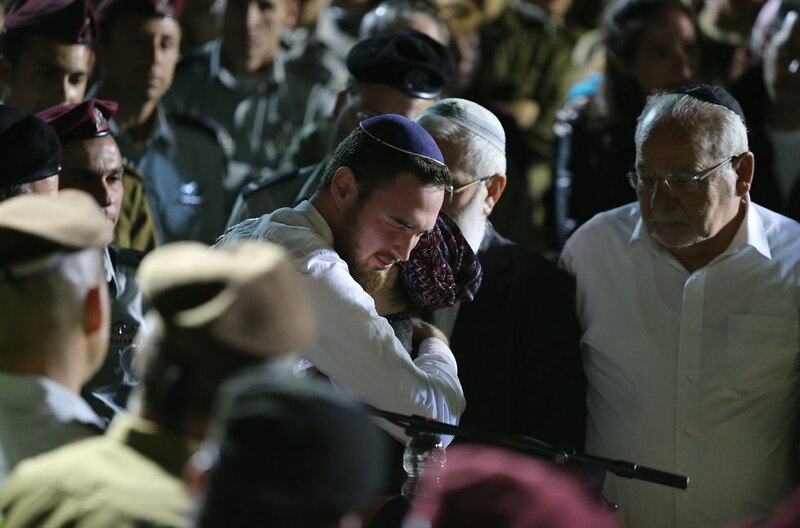 "I turn to the people of Israel who have given my family a big hug that I did not believe exists, and our greatest victory is a full life, for my little brother and for all the buried heroes Living Your Life With Joy, Faith, Love Even in these difficult days, I wake up and am just happy with what I see around me. I expect you all to do the same, to my brother and to all those who fall in love with us, take something good, something small, and slowly, thanks to our actions, there will be fewer and fewer funerals Ronik, I love you, I greet you, you are a hero. " Deputy Defense Minister Eli Ben Dahan said: "Since your injury, people have been persecuting murderous terrorists so we are everywhere in the world. Englisch: www.mjfriendship.de/en/index.php?op…39&Itemid=32 Devotion, your brothers in Haifa and Be he Sheva, in Beit El and in Gush Etzion, are able to live their lives peacefully. "Ronen, I spoke with the commander of your team. I want all the people of Israel to know, what a hero you were, what a great soldier. On behalf of your comrades, on behalf of the IDF, on behalf of the entire defense establishment, I stand here and promise you: We will not rest until we catch the one who injures you. Dead or alive, they are caught and punished. "